All you book bloggers out there are great, you know that? Not only do you share so many fantastic books I probably would not have heard of otherwise, but you also keep me accountable in my own reading. So book bloggers and those who benefit from your hours of sifting, reading, and analyzing- here’s to you in my January 2019 edition of Read, Reading, and To be Read! A great book that I enjoyed from start to finish; emotionally relatable characters, interesting plot, thoughtful thematic elements. You can see more on my review here. How have I never read this absolutely PHENOMENAL book by my favorite author before? Expect a full review soon, but spoiler: this book may be Lewis’s magnum opus. This was an ARC I was asked personally to do, so I thought I’d give it a shot. 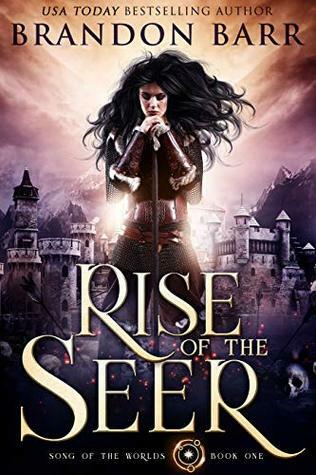 It was definitely out of the genres I usually frequent (Christian historical fiction with a bit of inspirational romance), so it took me a bit to get into it, but I ended up enjoying it. Centered around the Great Awakening (think George Whitefield and Jonathan Edwards), it was an uplifting, historically accurate, and at times, kind of sweet read. (A huge change from a lot of the stuff I normally read!) Would recommend for decidedly Christian or open to faith readers. I just started this today and WHOA IT IS INTENSE AND GRIPPING. I’m both terrified and excited to see where this fantasy novel will go. Working through this book meditatively and I love it. A theologically incisive and devotional treatise on prayer, this book does no soft-peddling when it comes to biblical fidelity. 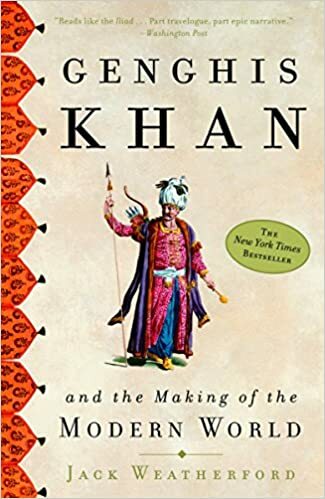 I’m listening to this biographical account of the life of Genghis Khan on Audible. It is absolutely fascinating. Just as interesting as Genghis Khan himself is the life, religion, and culture of the tribes that would become Mongolia. I’m only a couple hours in, but I would definitely recommend if you’re looking for non-western history. I have a rather enormous backlog of books I want to read this year and it’s embarrassing because I KEEP BUYING BOOKS. You can see some of the titles above- and ideally I’d like to get to most of them within the year. Well, we’ll see if that happens. I also want to return to some of the series I’ve started; namely the Monster Hunter series (Larry Correia), the Keeper Chronicles (JA Andrews), the Ender Quartet (Orson Scott Card), the Space Trilogy (C.S. Lewis) and the Binti trilogy (Nnedi Okorafor). So many good writers out there…so little time. And with two little kids, a job, and writing on the side, I’m going to need to prioritize. So please help me and tell me what to read. I mean it- any favorites on my TBR? I feel your pain on your “To Be Read” list because I’m pretty much in the same boat with mine! The biography on Gengis Khan looks really interesting, I think I’ve seen it on Goodreads somewhere. I definitely have to read it someday, it’s nice to know that it’s holding up well! I will warn you to say that the structure of the book is a bit weird because it’s not a straight biography of Genghis Khan. The first half is biography, while the second half is more about the spread of the Mongol Empire. Still interesting, but it does get a bit tedious in the second half at times.